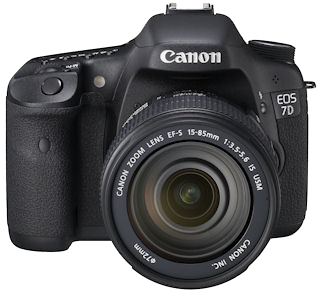 Canon today released a new firmware update for its EOS 7D DSLR camera. Supports a new accessory, GPS Receiver GP-E2. Adds an ISO Auto maximum setting. Adds a Quick Control function during image playback. Adds a JPEG resize function. Adds an auto recording level manual adjustment function. Adds a function to freely set text for file names. Adds a function to make time zone settings. Increases the screen scrolling speed when magnifying images. Corrects the colour space information in the Exif file for movies. For more information and download of the new firmware, go to the Canon USA website.